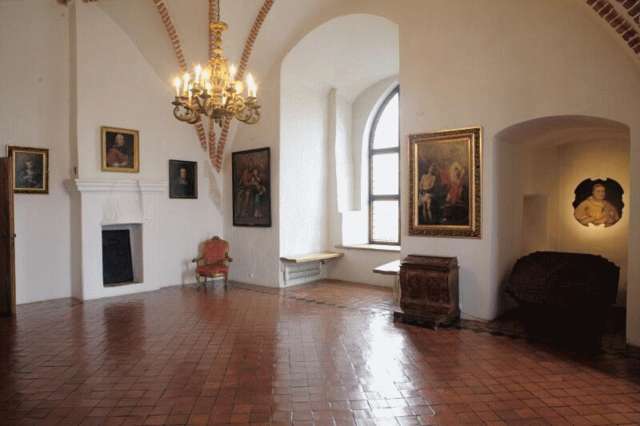 Lidzbark Castle was the seat of bishops and the centre of their power. It housed the central administration of the bishopric, establishing and enforcing laws. This is where cultural and diplomatic life flourished, the school operated and numerous courtiers resided. The requirements of court life were provided for by the functional programme of the building, combining comfort, representativeness and defensive qualities. The exhibition, located in the north wing of the castle (in former residential apartments), primarily commemorates those bishops – honourable statesmen, humanists, men of action and letters, permanently recorded in the history of the Polish Republic – who left surviving works of arts (including portraits and own foundations), letters and memorabilia in the castle itself. Mentioned here should be the names of Stanisław Hozjusz, Marcin Kromer, Andrzej Batory, Prince Jan Olbracht Waza, Jan Stefan Wydżga, Michał Stefan Radziejowski, Andrzej Ch. Załuski, Adam St. Grabowski, Ignacy Krasicki. The natural residential interior design (selection of period furniture, collection of religious and allegorical paintings) constitutes a background for presenting biographical aspects.